Integrative Coaching* is a cutting edge methodology designed to support you in becoming whole and fully expressed. By embracing all aspects of who you are as well as all of your life experiences you become open to receiving the wisdom of your life’s lessons and claiming the magnificence of who you truly are. Over the Phone (not in person) – Integrative coaching is done over the phone so that you can engage in the process from the privacy and comfort of your own home or office. Therefore, you can work with the coach who is the best match for you, regardless of your geographical proximity to one another. Program (not sessions) – Each of the coaching models is designed to be profound and life-altering transformational journey, which span the course of approximately four months. During this time, as your coach, I will guide you through a deliberate and proven coaching process that consistently produces breakthrough results. Structured yet flexible, extra sessions can be added to an existing program to meet your specific needs, address a specific situation or further integrate a particular step. Guaranteed to produce results, all of the Integrative Coaching programs run according to the powerful and proven structure devised by Debbie Ford and her staff. Coaching (not therapy) – Integrative Coaching is designed to support you to access and come to trust your own innate wisdom and intelligence. Unlike traditional counseling or therapy where you look to someone else for guidance, Integrative Coaching guides you to surface your own answers and internal guidance using advanced exercises and techniques that support you in looking within for your own answers. Life Learning (not just coaching) – Integrative coaching models are distinct from many other types of coaching in that they are specifically designed to teach you new life perspectives, distinctions, practices and skills. In each of your coaching sessions, you will be taught a new concept to empower you in understanding and handling the circumstances and experiences of your life. Between sessions, you may also be given exercises and reading to support you in integrating the lessons and knowledge to shift your way of being in the world forever. and courage. See yourself and your life in a way that inspires, excites and exhilarates you. Best Year Coaching is about creating the next 12 months of your life as your best year ever – not only this next year, but every year after that as well. This private coaching model spans approximately 4 months and is based on the work of Debbie Ford and her best-selling books The Right Questions and The Best Year of Your Life. Week by week your coach will support you to define and take specific, productive actions that will propel you forward in your life with confidence, clarity and integrity. Based on Debbie Ford’s world renowned Shadow work, Blueprint Coaching is a one-on-one coaching model spanning approximately 4 months. Embark on this profound journey and unveil the blueprint of your souls destiny by unconcealing, owning and embracing the very parts of yourself that have limited, blocked or prevented you from manifesting your greatest desires. Healing Your Heart Coaching will help you heal you heartache and transform your relationships. 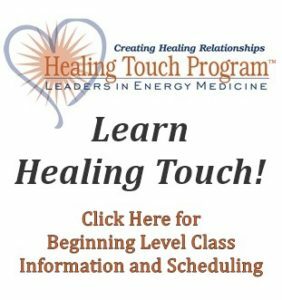 Designed to support you in reinventing a life filled with love, trust, integrity and intimacy with yourself and others, this program will help you use your deepest pain to break the patterns of the past and step into a new future, totally transforming not only your intimate relationships but all of your relationships…especially the one with yourself! reclaiming your personal power and joyfully living the life of your dreams? Based on Debbie Ford’s influential book, Spiritual Divorce, this one-on-one coaching spans approximately 4 months and empowers you to use the ending of a relationship as the catalyst to create and live your most extraordinary life by turning ruin into renewal. Most people are unconscious about the importance of their choices. They make choices and take actions that are based in the past. How do you create a new future if your choices and actions are sourced by the past? Future-Focused Coaching supports you to shift your focus and align your actions with an inspiring future. This six week coaching model gives you a taste of what is possible in this work. Call or email now to learn more about how one of these powerful coaching models or courses can support you in creating and living the life you desire. If you’re ready to have an experience of Integrative Coaching to see if it feels like a fit for you, just call or email now to schedule a free sample session of the coaching model of your choice. * The name Integrative Coaching and the Integrative Coaching Models are owned by Debbie Ford and The Ford Institute for Transformational Training and licensed for use by Empower People Ventures. 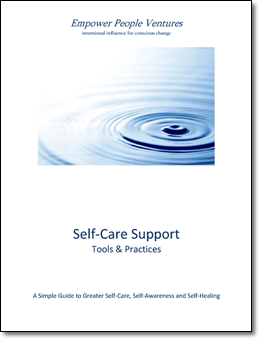 Get your free “Self-Care Support – Tools and Practices” guide! Yes! I want my copy of the Self-Help Support guide, and to join Empower People Ventures email list. Complete the form below and click Access Now! We value and respect your privacy, and will never share or sell your personal information. Get your free "Self-Care Support - Tools and Practices" guide!